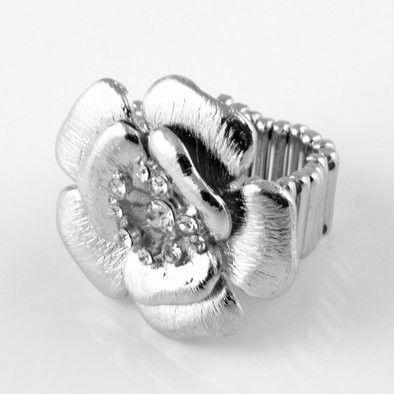 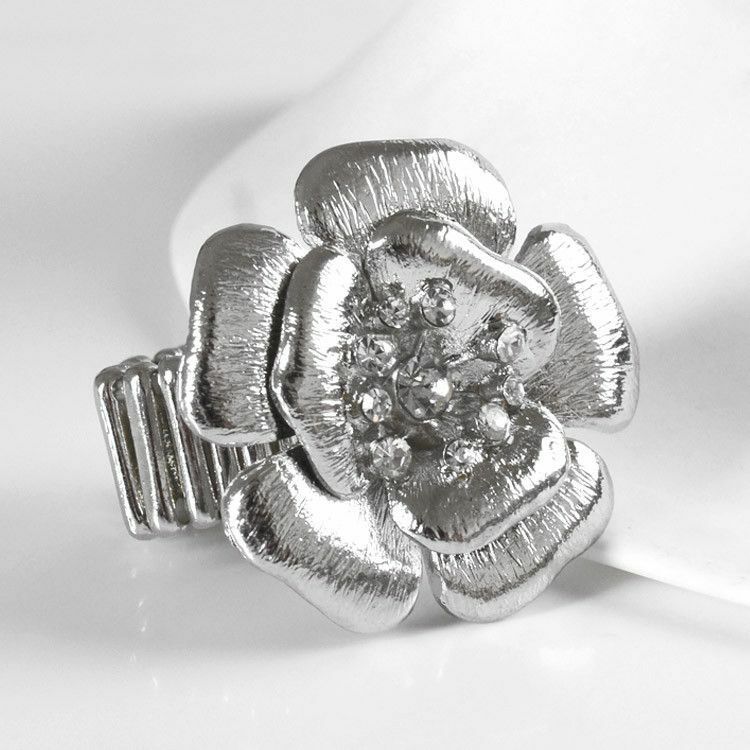 A large silver tone metal flower, accented with clear rhinestones in the center, adorns the top of this stretchable ring. 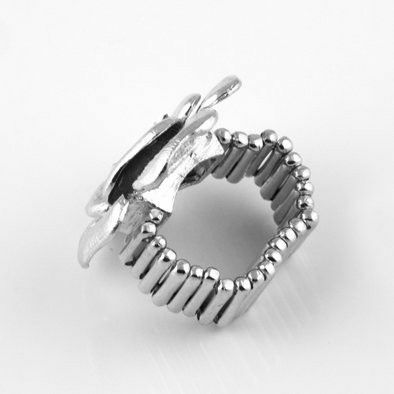 The band is made of rounded pieces of silver tone metal strung on elastic cord, making this cute fashion ring comfortable as well as adjustable. 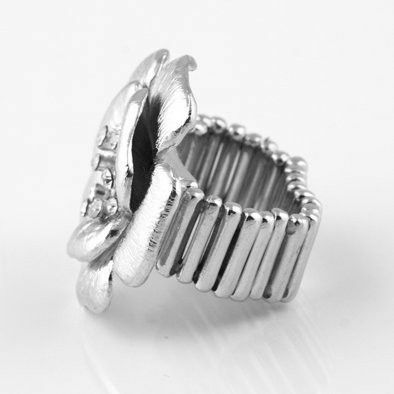 Top of the ring measures 1 1/4"